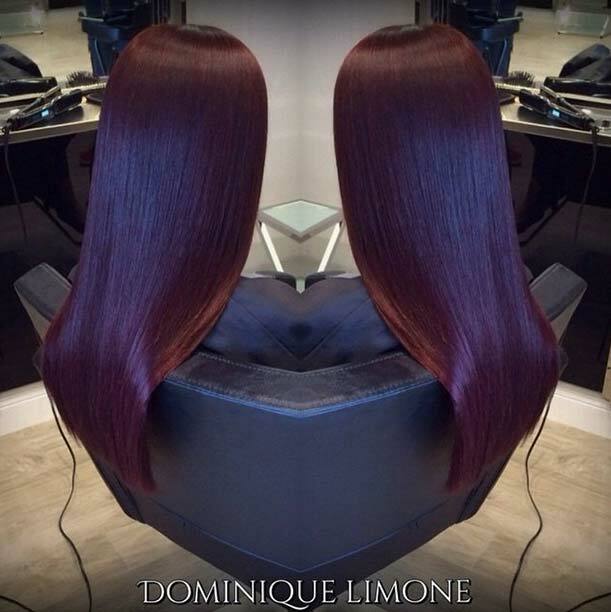 Red hair is always in fashion and although the shade of red might change, the color itself is in style every season. Do you remember the bright pillar-box reds Rihanna was rocking just a few years back? 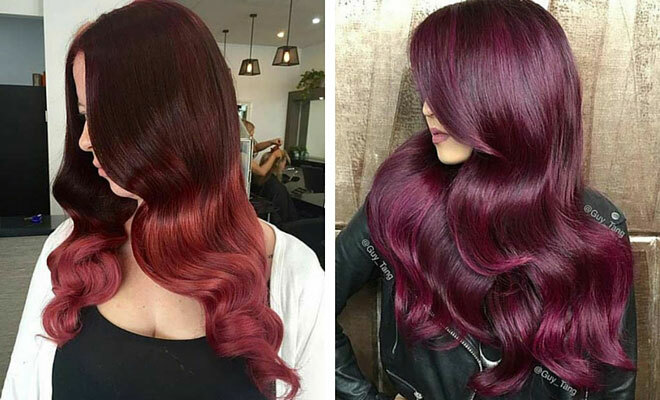 Well, since then the red look has come a long way and for spring and summer 2016, these dark red hair color ideas are definitely the ones to watch out for. One of the best things you can do with a red hair look is to create a balayage style which is essentially hand-painted highlights. You’ve got the beautiful dark red base here, almost purple in nature, but to bring it to live, there are delicate brighter red highlights, giving added depth to the look. 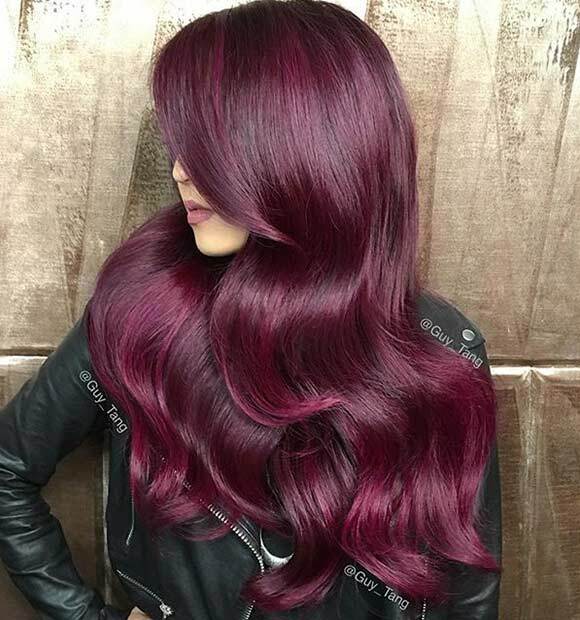 Although a bold look, having various shades of dark red is a great way to ensure you don’t have that one-tone, almost comic book effect, and if you have thin or fine hair, those multi-toned hues are the perfect way to fake some added thickness. This works for any shades or colors too, not just red. 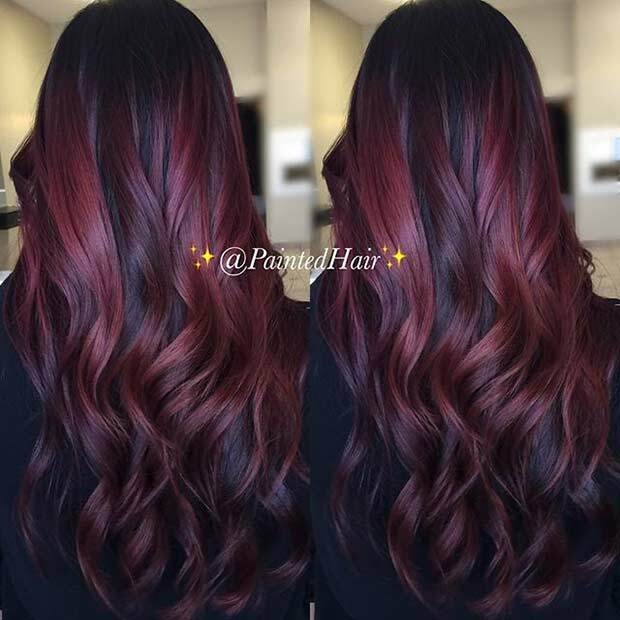 If you want to achieve a beautiful dark red look like this one, have a really good chat with your hair stylist to determine the best shade or shades for your skin tone, your length and also things like the color of your eyes. These are all important contributing factors when changing your color, especially when you’re doing something as drastic as going from a lighter color to a darker one such as these intoxicating red hues. We all love vampires these days what with True Blood, The Vampire Diaries and Twilight gracing our screens. 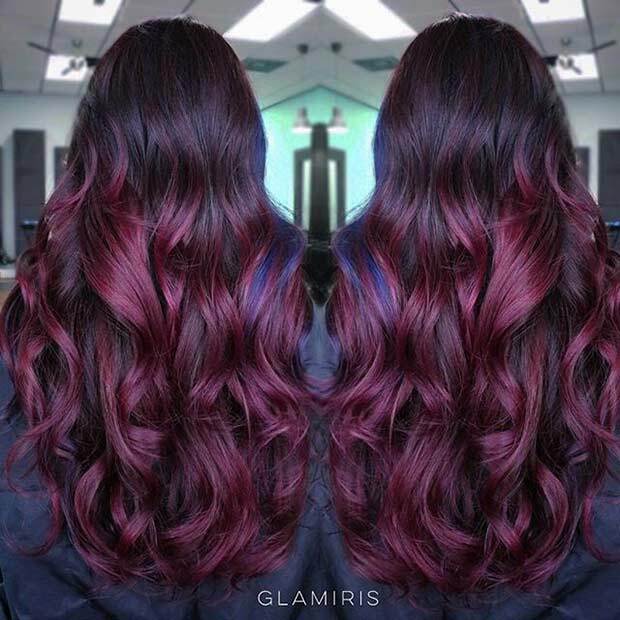 If you fancy going for something a bit more dark and gothic for your newest hair design, why not look at a great vampire red color? It’s bold, daring and definitely one to be lusted after. 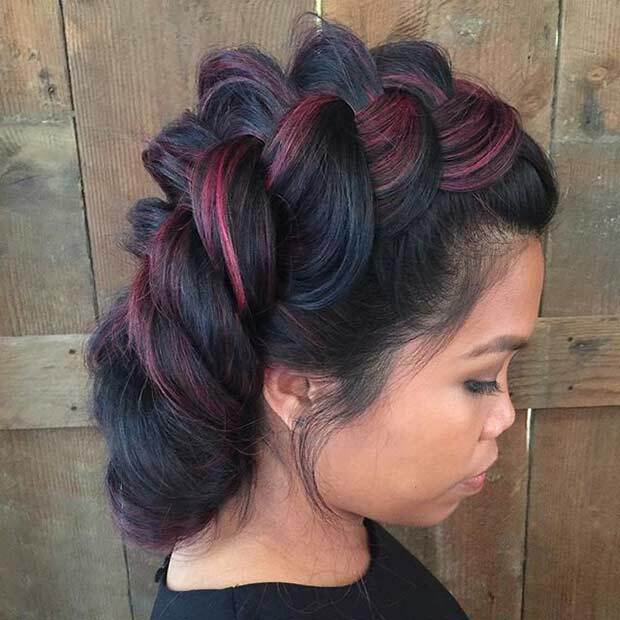 We love this look, almost a pinky-red, and although it’s hard to distinguish between the different shades, there are a number of different hues to create this one look. 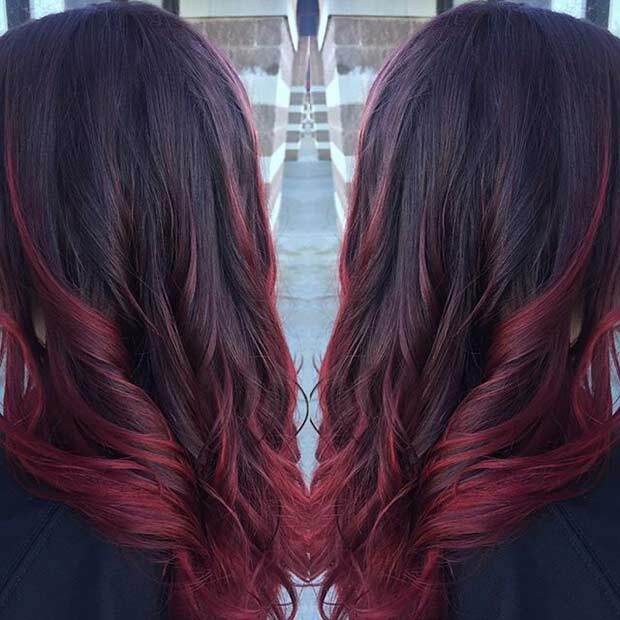 There are lighter and darker strands and layers of red running throughout and this is what helps you to get that bright and alive look. You must have good conditioned hair before you start this however. Poor quality hair won’t hold the color as well and you may find that the look turns out patchy also. Just because you want red hair doesn’t mean you need bright red hair all over your head. There’s nothing wrong with just having a splash of color on the ends, a look becoming more and more popular these days. By discussing a look like this with your stylist, you can be sure that you’re hitting the right shades you want to go without looking too bright and bolshy if your job or preferences don’t allow it. Long hair, short hair, medium length hair… It doesn’t matter. Red hair suits everyone and dark red hair color ideas such as this one are not only elegant and classic but also very simple too. If you’re going to go for a bold color choice, you may as well have a bold haircut to back it up with and what could be better than this season’s hottest trend – the lob, otherwise known as the long-bob. 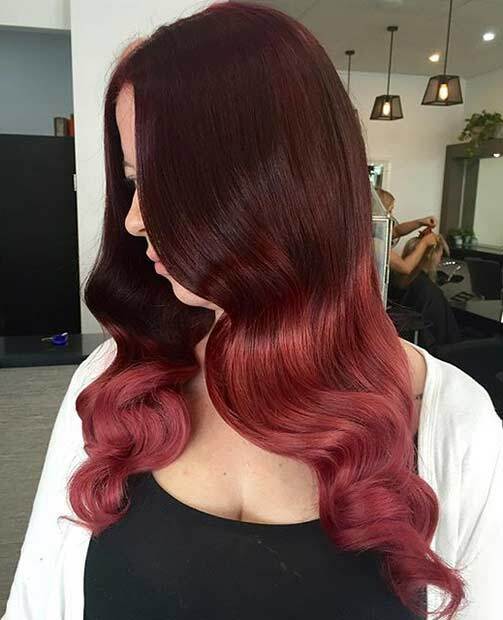 If you have darker hair already and you fancy going this beautiful shade of red, you’ll need to be prepared to go lighter first and this will mean some kind of lightening treatment, for example, bleaching. You’ll only need to bleach your hair lightly, to a light natural brown as opposed to a bright blonde, but this will still put your hair under pressure and stress, something you’ll need to ensure you take care of afterwards. Some of the most loved and adored screen sirens have been redheads. What about Rita Hayworth, originally a brunette but she dyed her hair the beautiful shade of red we have come to know and associate her with. If it was good enough for this screen siren, it’s good enough for us but make sure you think about your shade of red carefully. It’s really not a one size fits all situation and there are a lot of things to take into account. If you want a brighter color but need to give your hair a bit of a rest, why not avoid over-bleaching and treating your hair and just color the ends instead. You could do this for the winter just in time for that good spring clean, AKA the spring-time cut when you get the bulk of those nasty winter-bitten dead and split ends cut off… Which always ends up being a good few inches more than you’d anticipated. A look like this is perfect for a redhead first timer. 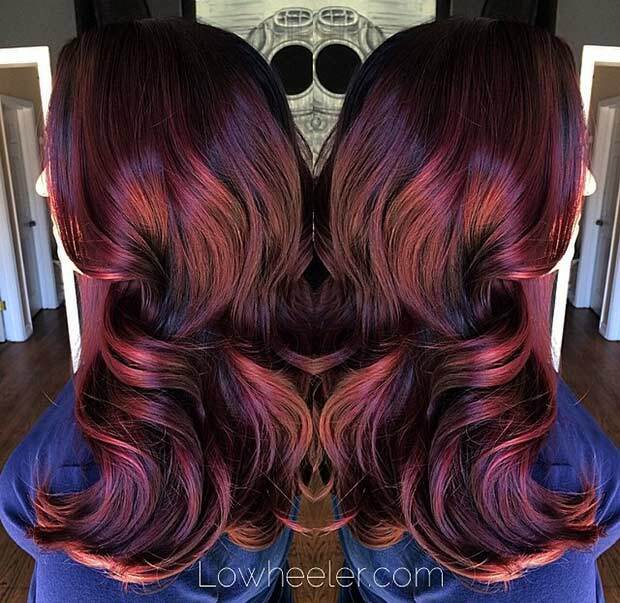 The dark red at the roots is a more natural color and the ends are left to run riot. Hey, you said you wanted to paint the town red! 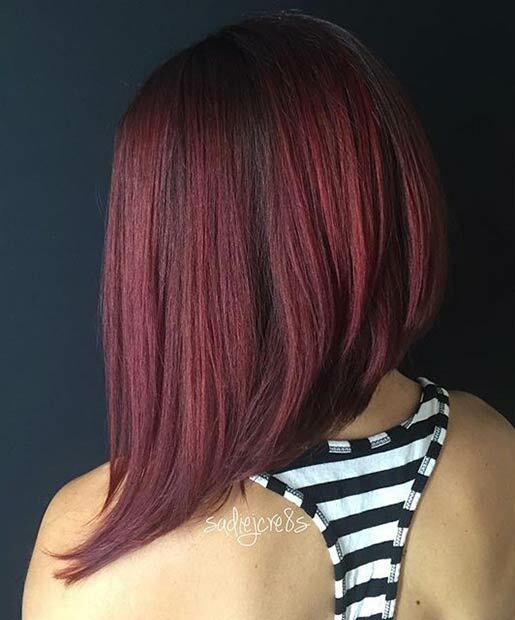 Highlights are a great way to add the effect of thickness and depth to any look and these beautiful dark red highlights really work running through the naturally left, dark brown hair. Sometimes a slight pop of color is all it takes to make a difference and with a vivid shade such as this, too much can definitely be just that – too much. Opt for highlights to start with if you’re not brave enough to try a full head of color. Frame the face with those red highlights so you get a good idea of how the shade will look against your skin. Once you’ve done that, you can always add more during later appointments, going all-over red if you wanted to. Don’t jump in at the deep end if you’re not quite sure. That just spells hair disaster! 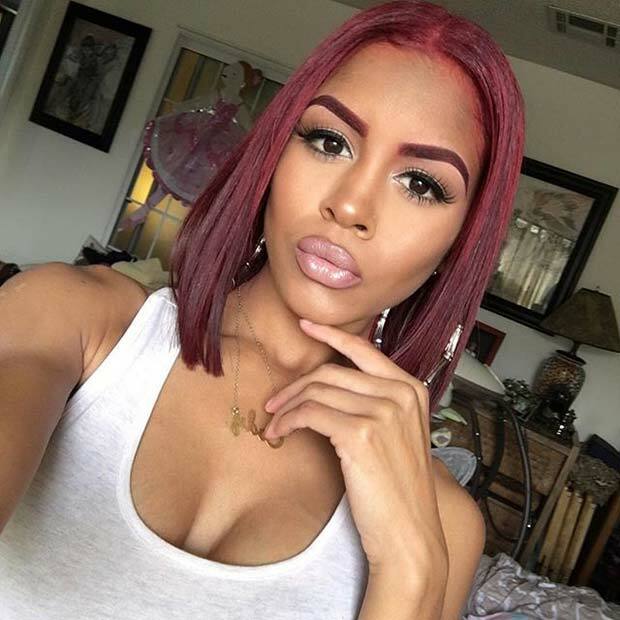 One thing you’ll need to be prepared for if you’re drastically changing the color of your hair, especially if you are going for something like this stunning dark red bob, is that you will often need to slightly change the color of your current eyebrows makeup. That shade you were using with your blonde or brown hair probably won’t work as well with your new dark red hair color ideas. Katherine Hepburn not Audrey Hepburn.